The Story of Two Friends. Games online. 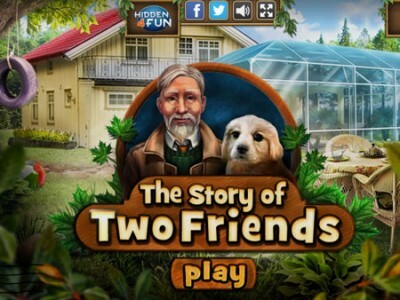 The Story of Two Friends is new seek and find game by hidden4fun. The both of them were walking in the park together when Bob suddenly disappeared. Harold is quite sure that his dog has been stolen because Bob hasn't ever done anything similar to this. Harold is searching for his dog and the people that might have stolen it. This is the right moment to be a friend and help Harold find his pet.